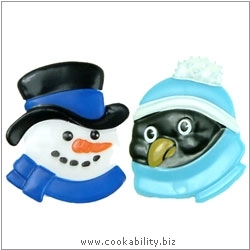 A pair of cake decorations that can be used as rings for small children. Each is approx 4cm tall. The packaging indicates that they may not be suitable for children under 36 months.